Hello there, it's been a while, but I'm trying to get back to this again! Wishing everyone a Happy New year, hope 2016 is a good one. 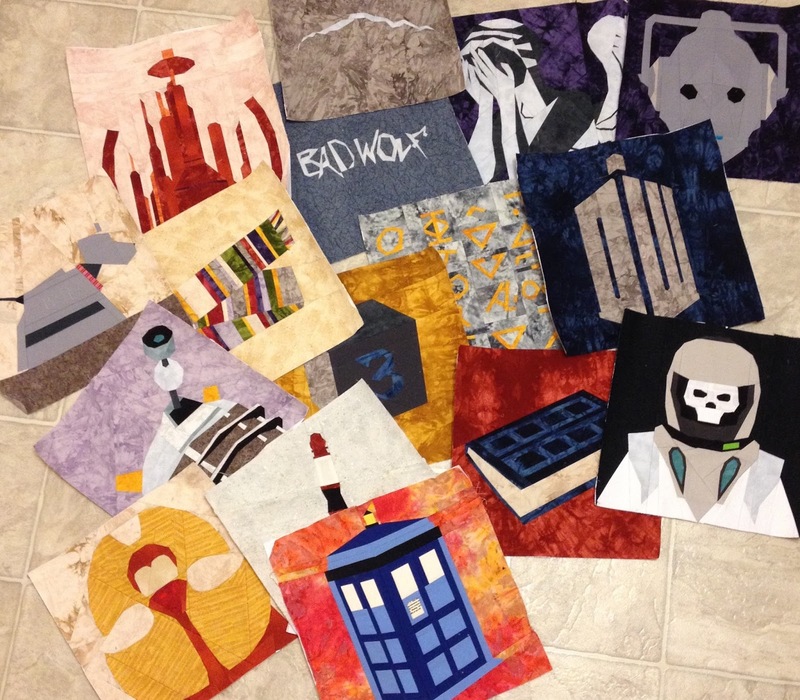 I worked on plenty of things last year but only managed to actually finish 3 quilts, one of which was a small one! So this year my focus is to finish some WIPs. I have no doubt that other things will creep in here and there, like they do, but the focus is finishing not starting! This is so very nearly finished which is a good job as it's been about 7 years in the making! I just have the binding to sew down and some embellishments. Can't possibly leave them all with no eyes! 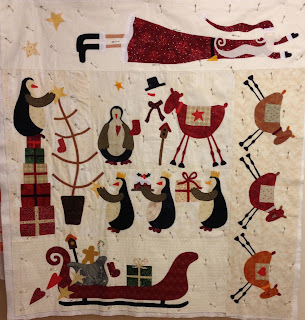 It is basted and ready for quilting. 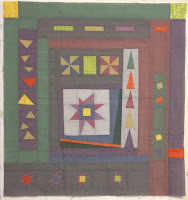 This is a quilt that I started over 5 years ago for my now 7 year old daughter. It's not really my choice of fabrics anymore but it needs to be finished. 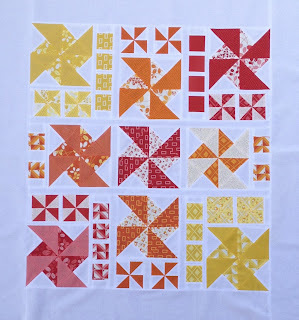 Another one that is basted and ready for quilting. The blocks are made. I started making some words to add around the blocks to make it a reasonable size. So the words need finishing and a back needs piecing. There is a plan it just needs putting into action. Deadline October! 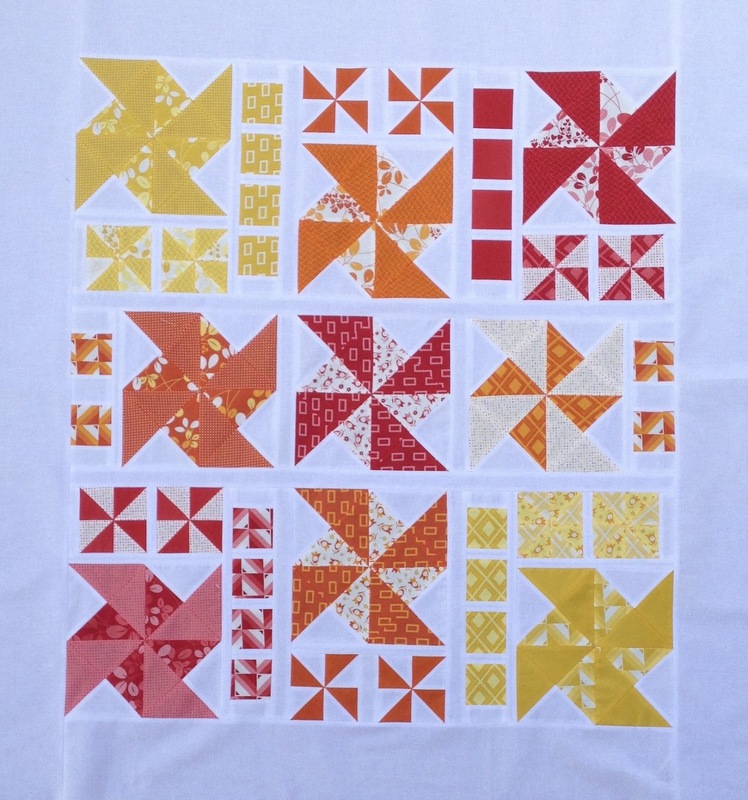 I pieced this one using just a Simply Colourful charm pack and Kona solid. 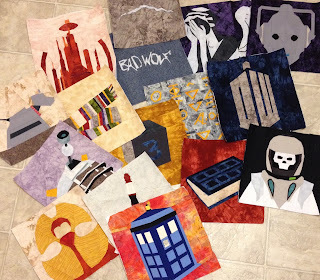 It was one of those days where I just had to sew and do something new (see here). I then had intentions to extend it using another charm pack from the Simply Colourful II range (blues, greens and purples). But now I am not sure, that requires a decision at some point! My mum and I have been using some Oakshott Cottons to make joint mini quilts. We both started with a block and then sent the piece to the other to add a section to it, we continued doing this until we were running out of motivation and fabrics! So now I have the front finished. 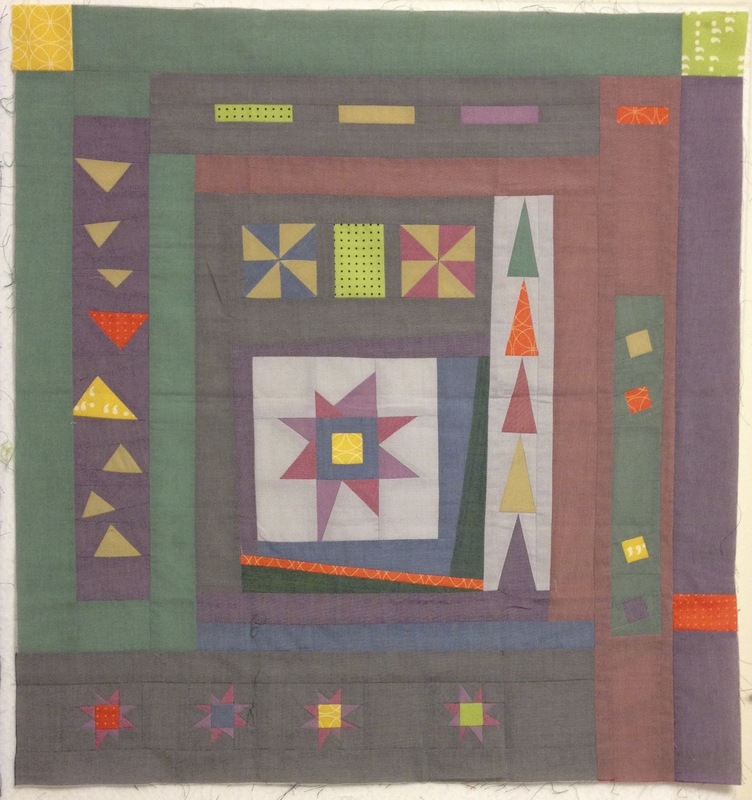 It needs a back and some quilting inspiration. Mine on the left, mums on the right. Ok, so this one is not technically a WIP yet as I haven't actually started, but it is on the cutting board waiting, so it counts right!? 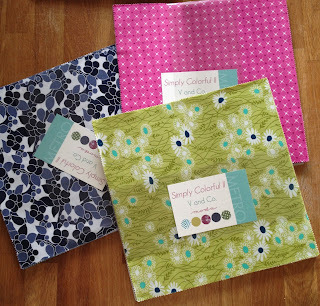 I want to use these 3 gorgeous layer cakes to make a round and round quilt. 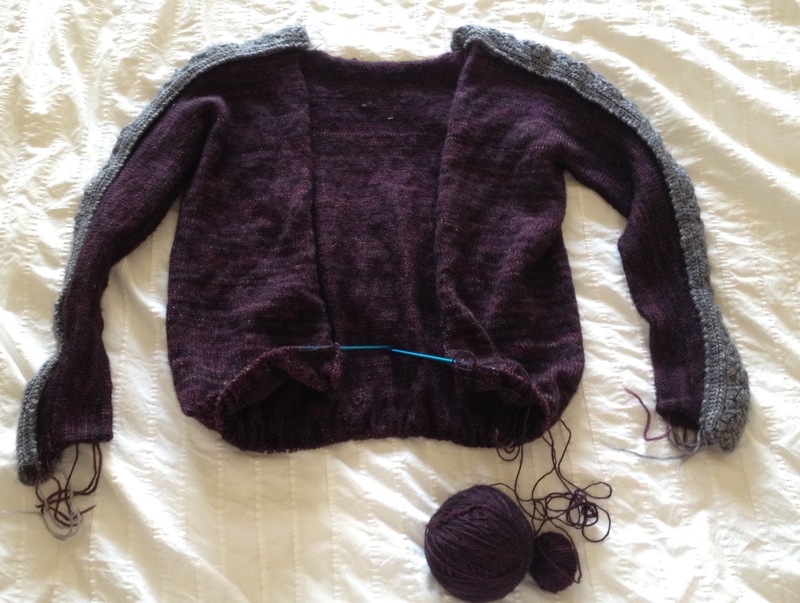 This poor cardigan has been taken apart and restarted several times over the last year and a half, but hopefully I am on the finishing stretch now. I just have to knit down the back to the length that I want and finish of the cuffs and collar. How hard can that be!?! There are probably more WIPs hiding in the cupboard but for now if I can complete this list before the year is out (giving myself plenty of time there!) I would be happy. 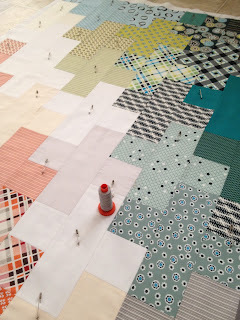 Linking up with the Finish-A-long with She Can Quilt. Lucky you to quilt with your mom! Best of luck with your finishes!